When Senator Bernie Sanders proposed a bill to substantially improve the quality of life for America’s heroes, our veterans, his intentions were to vastly enhance care and education. 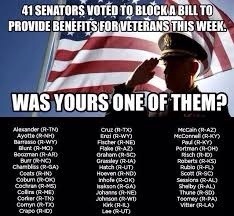 On February 27, 2014: A massive veterans legislative package that would have expanded a host of post-military benefits was sidelined after Senate Democratic backers failed to find enough support among their Republican colleagues. This impressive and comprehensive bill rectified so many of the ills at the Veterans Administration. I encourage everyone to glance at the bill and then ask the journalists why is this not THE REAL ISSUE? The GOP, the self-appointed party of patriots, claimed President Obama’s West Point Commencement address was received with tepid approval. Why? Because he spoke the truth? “America’s costliest mistakes have stemmed not from restraint but from rushing to armed adventures without thinking through the consequences, without building international support and legitimacy for our action, without leveling with the American people about the sacrifice required.” Imagine if the address given by George W. Bush at that very same place in 2002 was as insightful, logical and considerate to the soldiers he stood before, many of them would not have become casualties of his poorly-planned wars. Senator John McCain would entangle our military in dozens of wars if he had his way. Famous for being a POW, he has been voting repeatedly against his fellow veterans for years denying the needed funding for benefits. He was among the Republicans who voted against the measure. 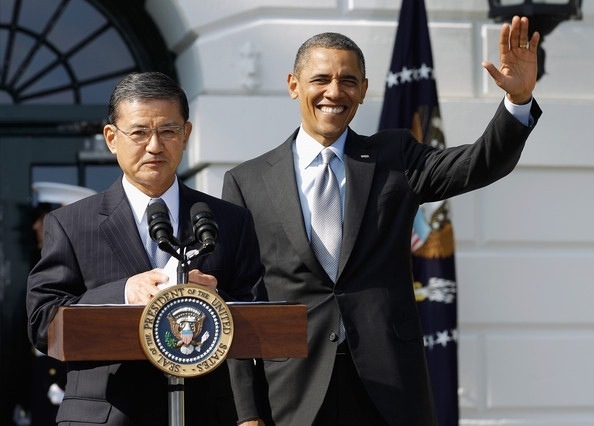 He and his fellow Arizona Republican, Senator Jeff Flake have some serious soul-searching to do after laying the blame on Secretary of the VA Shinseki and the Obama Administration. Does anyone else see this pattern: the GOP votes against funding (embassy security and Veterans’ care) and an inevitable crisis ensues? Is everyone too distracted by these scandals to forget that Koch Industries and BP (to name a few) are given a pass to pollute while the far right science-deniers focus on Vice President Gore’s audacity to live in a nice home? Perhaps if the Chris Matthews and Chuck Todds of the MSM would stop reading from Frank Luntz’s daily manifestos, the real villains would be held to account for the problems they create.